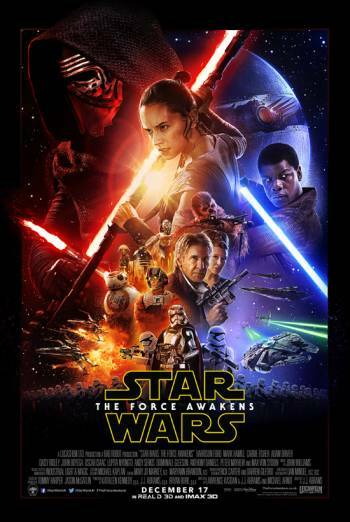 Summary STAR WARS: THE FORCE AWAKENS is a sci-fi action adventure in which a young woman becomes embroiled in a galactic conflict. STAR WARS: THE FORCE AWAKENS is a sci-fi action adventure in which a young woman becomes embroiled in a galactic conflict. There are frequent scenes of moderate violence, including use of blasters and lightsabers, and dogfights between spaceships. Sight of blood and injury detail is limited and brief. Occasional scenes of moderate threat include characters being interrogated using 'the Force', which it is implied causes them pain, and characters being held at lightsaber-point. There is infrequent use of very mild bad language ('hell', 'damn').